This is a collection of tools used to remove duplicates from your Microsoft Outlook Contacts folder. Some of these tools will also remove duplicates from other Outlook folders. When the duplicates are the result of importing and all are duplicated, you can sort by the modified date field (you'll need to add the Modified field to the view), then delete all of the items with the same modified date and time. When the duplicates have assorted modified times, you'll need to delete the duplicates yourself or use one of the many duplicate remover tools to automate the process. If not using a list view, switch to a list view. Find the Modified field in one of the All <type> fields list. Sort by the Modified field. Outlook Duplicate Killer is an add-in for Microsoft Outlook. Find, merge and remove Outlook duplicates. Compare, assign the category, flag and move duplicates to selected folders. Find and remove duplicate contacts, emails, calendar events, tasks and notes automatically. Merge Outlook contacts and other items. Manage duplicates in any Microsoft Outlook folder, including Microsoft Exchange and Public folders. Preview duplicate search results prior to processing. Use with Microsoft Outlook 2016, 2013, 2010, 2007, 2003, 2002. New updated Duplicate Killer is to dedicate to make sure product runs stable and without issues on latest environment, therefore includes latest versions of components. Deduper does exactly as the name suggests, it searches and removes all duplicates - including appointments, contacts, notes, tasks or emails. Either delete duplicate contacts or move them to a separate folder. Duplicate Remover will find, merge and remove duplicates in 3 steps using simple search wizard. Search duplicate items and merge Outlook duplicates automatically. Review and merge duplicate Outlook contacts. Remove Outlook Inbox duplicates, duplicate Contacts and Calendar events and Junk contacts. Quickly clean up all your contacts. Automated inbox scanning and duplicates removal. The new version is dedicated to make sure product runs stable and without issues on latest environment, therefore includes latest versions of components. Accurate Outlook Duplicate Remover (AODR) can find and remove all duplicate Outlook items automatically. It quickly removes duplicates from Contacts, Calendar, Tasks, Notes and Email folders in one click. You can select any folder for duplicate Removing. It helps you to use your Outlook much more efficiently. Free for up to 200 contacts. Remove unwanted Outlook duplicate records with Anti-Dupe for Microsoft Outlook add-in utility. Anti-Dupe for Outlook scans and deletes duplicate Outlook duplicate appointments, contacts, emails and tasks based on pre-determined criterion set by Anti-Dupe. Trial version available. Delete Duplicates for Outlook deletes duplicate e-mails. Detect and remove duplicate messages, contacts, calendar items, tasks, journal entries and notes. Compare messages by content (Standard), by part of the content (Special) or by unique message-id's (Light). Compare attachments and/or embedded files, by name and/or by content. Compare duplicates across several mailboxes or in within the boundaries of individual mailboxes. Use Regular Expressions. Works with all Outlook versions, inc. Outlook 2010/2013 32 or 64-bit. Kernel for Outlook Duplicates Remover tool is specifically programmed to remove duplicate items of MS Outlook permanently. The tool easily locates all duplicate Outlook items and provides option to either manage them or remove them permanently. The tool supports removal of duplicate items for all MS Outlook versions. Its free trial version can remove 10 items from each folder and expires after 30 days of download. The free duplicate contacts removal service for Outlook Exchange, Office 365 Mail, iCloud and other contacts sources. A time-saving solution to clean up large contact lists and Address Books automatically. The simple cloud-based app will scan and compare contact data across the selected email services (Microsoft Outlook with Exchange accounts, Office 365 Mail, iCloud, Gmail, Outlook.com, Hotmail) and find all duplicated contacts. The web app is compatible with all Windows PCs and Macs, iOS, Android smartphones and tablets. NoMoreDupes detects and removes all duplicated Outlook items both in an Outlook pst file, a public folder or in an Exchange account. It shows the found duplicates in a preview for the user to decide which duplicates to remove. 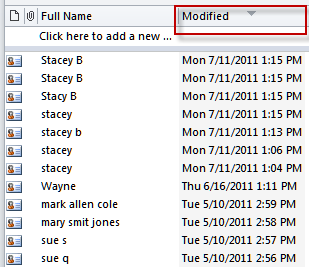 You can move the duplicated Outlook items to your "Deleted Items" or to any other folder you specify. NoMoreDupes uses a special algorithm to detect the Outlook duplicates. This Outlook-Add-In works with all versions of Outlook, including Outlook 2010/2013 64bit. Find & remove duplicates with this open-source VBA-Script. Searches for duplicate entries of any type (calendar, contact, e-mail, notes, task, etc.) across folders in Outlook. Suspected duplicates are listed and can be moved to the Deleted Items folder. Online service to eliminate wasted time by merging, cleaning, and eradicating contact conflicts. Works with Outlook, Gmail, Yahoo, and Mac address books. Clean up your Outlook mailbox from unwanted and duplicate emails with Outlook duplicate remover tool. This software works as an Add-Ins in Outlook and removes duplicates as per different time span and scan criteria. Customized operations like Mark as Expired or Flag, Delete Permanently, Copy to folder and more are also a notable feature of this software. Any solution to delete duplicates within SINGLE contact, e.g. duplicated Email1 and Email2 fields? I see another user was looking for solution here but no solution found. this version of the bulk contact macro just needs a little editing to do it. Oh dear, what have I done? Downloaded Cosi for ipad, and saved Outlook 2007 calendar as it said as a pst file, then downloaded the Cosi toolbar to sync. All worked well. But then noticed all outlook appointments had blue square on them. So deleted Cosi off ipad, emailed them re my deletion, then deleted via Control panel Programs. Then reinstalled according to Cosi's directions and now I have a new calendar and an old calendar mixed up with old recurring appointments coming up all the time. I don't know how to remove them. I've tried deleting the old recurring appointments to no avail. Any ideas muchly appreciated? In Outlook... is every thing in one calendar folder or in two? Normally, the best way to delete stuff from the calendar is using a list view but I'm not clear if the problem is in your default calendar in Outlook or with the sync process as I'm not real familar with the cozi app.